Measuring and tracking the performance of sales teams is imperative for the overall well-being of any company. How do CEOs and sales leaders go about this task? By possessing full knowledge of your sales metrics and sales KPIs, account owners can regain control of that full picture. 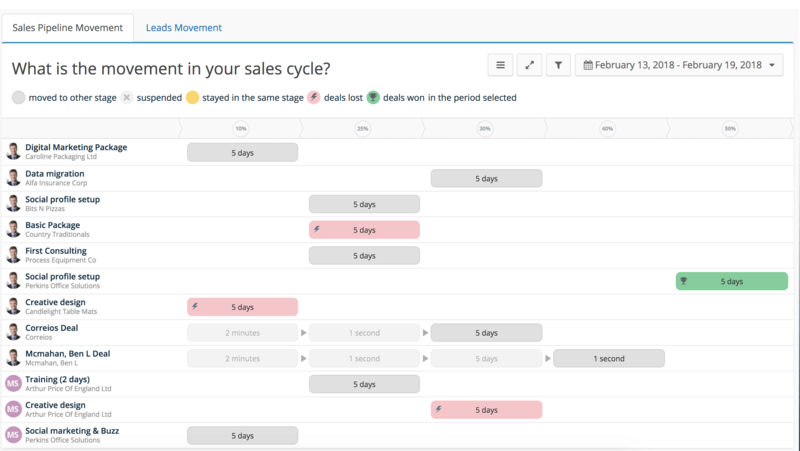 A smart, and intuitive sales CRM software – such as the multi-award winning Teamgate – can greatly improve clarity, by intuitively tracking and measuring your sales team’s performance. Setting achievable goals for sales teams is imperative. Setting unjustifiable goals can stifle their abilities. Goals should be set in unison between your sales team, and results gleaned from your CRM software solution. A CRM like Teamgate allows you to analyse past performance, and to set actionable goals. The CRMs results can offer insights which help evaluate any improvements required. Sales which take too long to close steal time. Your CRM can offer valuable advice on optimum time-framing – how long a sale can be held in any particular stage of the sales process, or in the complete pipeline. Sometimes it can be overlooked, but both long- and short-term goals have their individual merits. To sales teams and individuals, short-term goals can be fraught with frustration – inevitably there will be bad days and weeks. For this reason, setting long-term goals can offer more incentive, and a realistic outlook, while helping facilitate a more productive work ethic. Some sales teams like to set these goals in reverse; if you have a monthly target multiply it by 12, giving you an easier to manage – and less stressful – long-term target. Keep this target in mind, and things won’t feel so depressing at the start of each new weekly, or monthly sales cycle. As with all sales metrics and goal setting, a capable sales CRM can analyse many factors across the sales process in order to determine the most achievable long- and short-term goals. A clearly defined sales pipeline offers managers the visibility needed to instantly analyse the complete sales process. Teamgate CRMs user-friendly interface offers access to the metrics which the ability to measure productivity minutely. Your CRM should offer the customisable ability to conduct tracking of metrics such as; activities completed; communications; deals won and lost; and future forecasts. All of these individual metrics go towards making up the overall picture. Teamgate is a highly intuitive sales CRM which hands sales managers the benefit of automating time-consuming tasks and permitting them to focus on the metrics required for constant assessment, and tweaking of sales performance. Fully customisable analytics, make all aspects of tracking and measuring the various segments of the sales process, quicker and more productive. Teamgate offers instant access to reports and sales KPIs which once stole much of a manager’s time resources. 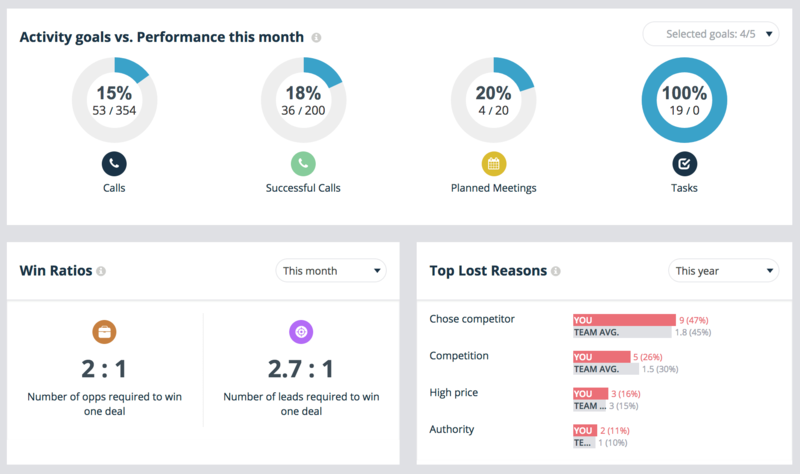 Every aspect of your sales team’s KPIs can be automated and measured instantly – new leads, sales volume, client acquisition, stage lengths, communication targets, etc. Meetings which offer no real insight or value, are a waste of time to all sales people. Your CRM measures and tracks so many components of your sales performance metrics, it would be a shame to waste such findings. Meetings which offer valuable information, garnered from measuring and tracking your sales teams performance, can offer not just the team, but the individual salesperson rewarding feedback. They can learn from their strengths and weakness in easily understandable charts and illustrations provided by your CRM. There may be factors involving the individual which lie outside the metrics, these factors can best be resolved and discussed in one-to-one meetings and the presentation of the analytical data. Use your CRMs reports wisely, but use your people just as wisely. Don’t forget to have those conversations with the individual. Setting goals is a collaborative process, involving a connection between your CRM and your people on the ground. Don’t forget the human aspect – your sales people are the eyes and ears of your company, but be sure to keep them engaged in conversation, and involved in all stages of the sales process. Measuring and tracking sales performance metrics gained from your CRM can help you monitor the health of your sales process anytime and anyplace, and instantly resolve any occuring bottlenecks. 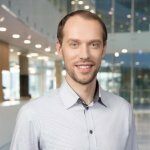 Marijus is the CEO at Teamgate. He's a Lithuanian native but always on the move - he works between Teamgate's offices in London and Vilnius. Marijus is all about building new products and turning them into businesses. An expert in Cloud Computing and SaaS products, writing his deep insights on everything he thinks of worth mentioning.